Elopement in New York – fun and easy! In order to cut all the unnecessary wedding costs, Steven and Sarah decided to have an elopement in New York! After 2 years of long distance relationship Steven, Sarah and her 6 children have started living together in Tunbridge Wells, England. Everything began with a proposal on a back of a double decker bus and then we followed them through their wonderful marriage ceremony in a NYC Hall! 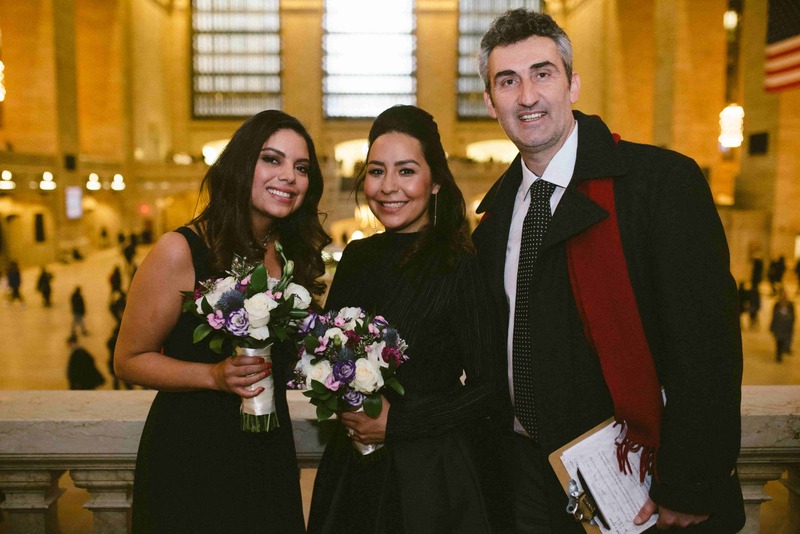 Steven and Sarah would love to recommend NYC not only as a super interesting wedding location; what’s more important all the legal procedures are much cheaper and more easygoing than for example in England. In order to get a marriage license you can apply online or get it in person, just don’t forget yours and your loved one’s IDs! Marriage license cost is $35 and it’s valid for 60 days! 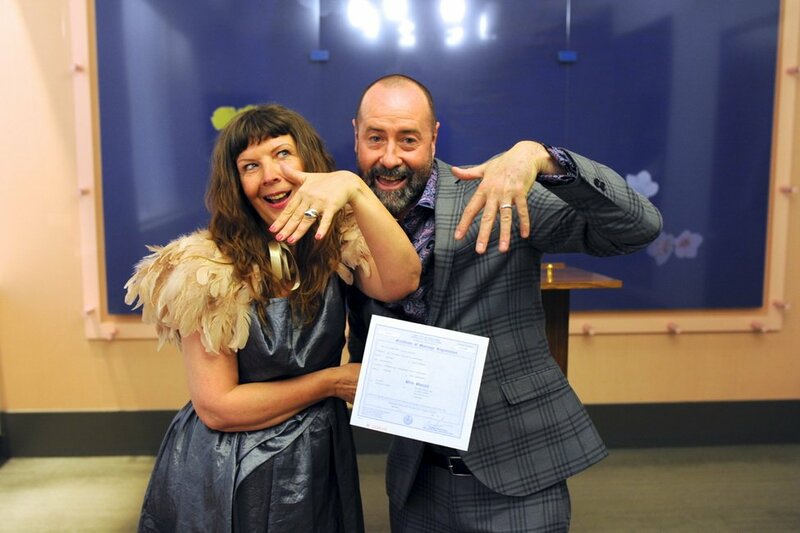 You are allowed to start the marriage ceremony, which can be performed in NY City Hall or any other NYC wedding location you prefer, 24 hours after you get the license. So, elopement in New York save your money and time! Everyone should learn from the wise ones! Steven and Sarah tied the knot in a city that never sleeps and got a honey moon trip, all in one! Congrats! PS. We simply adore their Wedding outfit, what do you think? We are planning to get married on the 22nd of Decmeber perhaps at Gapstow Bridge. That’s great news, congratulations! Yes, we could organize your NYC Elopement, take a look at our Elopement page, we created all-inclusive elopement packages or you could build your own package. The first step is to book us. Looking forward to organizing your perfect elopement in NYC.